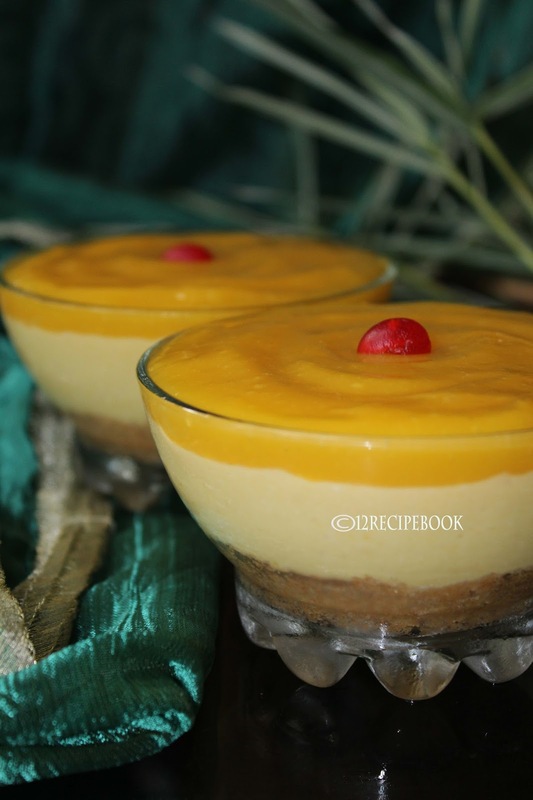 Mango cheesecake is a must try dessert in the mango season. 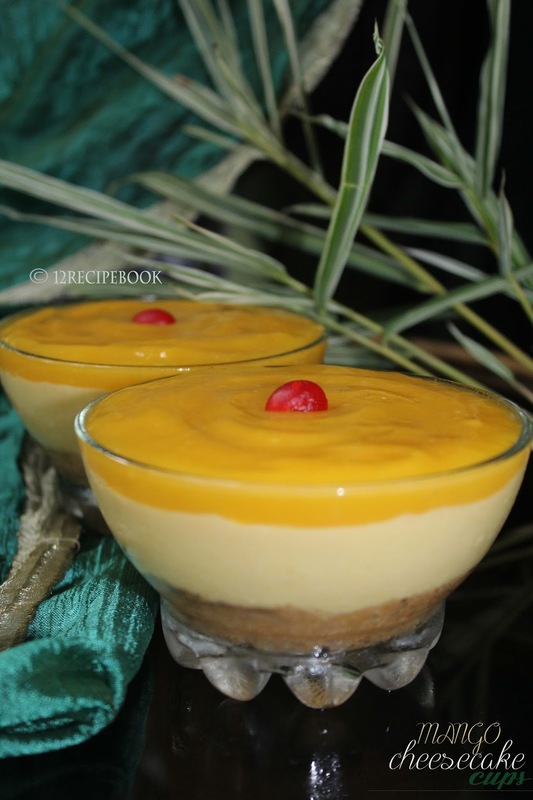 It is a light, fluffy and delicious dessert to try after a heavy meal. You can use china grass (agar-agar) instead of gelatin; or use thick cream and condensed milk instead of cream and sugar to completely avoid any thickening agent. Here is the recipe of easy egg-less no-bake mango cheesecake cups. Crumble the grahm crackers well in a blender or by hand. Now mix it well with melted butter. Add this mix on the bottom of serving bowls as a one inch (less or more) thick layer. Refrigerate the bowls until the top layer gets ready. Mix the gelatin with hot water and stir well until well combined (like clear water; if don't do double boiling method to melt the gelatin completely.). Allow to cool completely. Mix the cream, cream cheese, half of mango puree and sugar in a bowl until well combined. Mix it with half of the gelatin melted and fold well. Add this on top of the graham cracker layer of each cups evenly (until 3/4th of the cup level). Set in fridge for about 30 minutes. Mix the remaining mango puree and melted gelatin. Gently add it on top of the cheesecake layer as a thin layer. Refrigerate overnight or at-lest 5 hours to set.